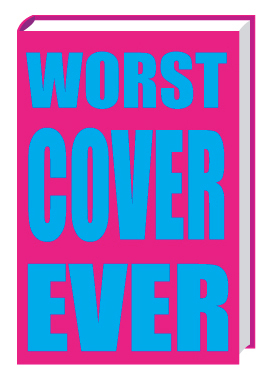 We asked for your help coming up with the worst title for the most awesomely bad cover ever, and you responded with over 350 entries! There are some truly inspired offerings that didn’t make the cut, but cut we must, and so without further ado we present, in no particular order, the best of the worst. Click here to vote for your favorite using our woefully unscientific poll. So, among these five finalists is there a title truly deserving of the worst SFF cover ever? We think so. And you can help us find it. 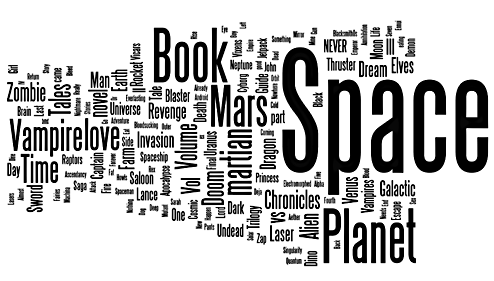 And incidentally — the word cloud of the submitted titles suggests that the worst title in the universe might include the words “Space”, “Mars”, “Love”, and “Vampires”, although those particular themes did not show up in the finalists. Just goes to show that there’s an art to everything. Wordle: The Worst SFF cover in the World!